Doesn’t it kind of defeat the purpose of wearing an outfit entirely made up of camouflage if you wear a neon yellow visibility vest over it? 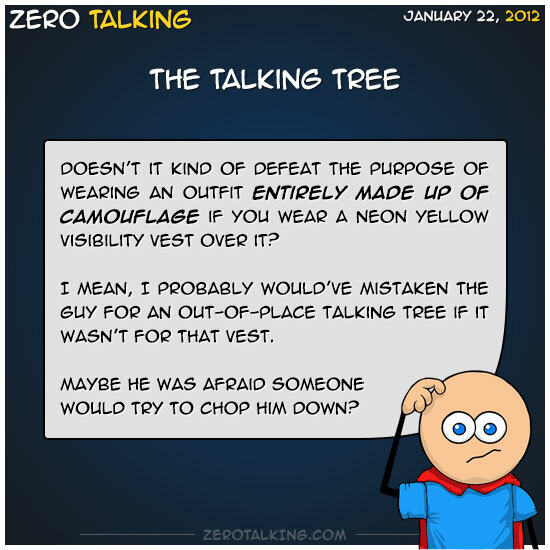 I mean, I probably would’ve mistaken the guy for an out-of-place talking tree if it wasn’t for that vest. Maybe he was afraid someone would try to chop him down?